connect the 330Ω resistor to ECHO. On its end you connect it to Pin 18 (GPIO24) and through a 470Ω resistor you connect it also to Pin6 (GND). We do this because the GPIO pins only tolerate maximal 3.3V. The connection to GND is to have a obvious signal on GPIO24. If no pulse is sent, the signal is 0 (through the connection with GND), else it is 1. If there would be no connection to GND, the input would be undefined if no signal is sent (randomly 0 or 1), so ambiguous. So every second, the distance will be measured until the script is cancelled by pressing CTRL + C.
That‘s it. You can use it many fields, but who still want to measure larger distances would have to rely on laser measuring devices, which, however, are much more expensive. Thank you, I need this for a Magic Mirror. I want it to activate when someone is nearby, in front. I have experimented with PIR, I always seem to find them a bit random but this should be good. I found other examples of “how to do this”. This one, yours, worked immediately. OK, so it is not my solution and I need to do much more to make my exact application work but “Thank You” so much for this proof of concept. I am a little new. May I ask why you are resisting ground? We want to create a pull resistor, such that the voltage status is never “random”. Thank you for making it so easy to get playing with this sensor. I only had 1k and 2.2k resistors available. Would that be the reason my measurements are off by about 1.7cm on the distances (0.5 – 2 meters) I tested? 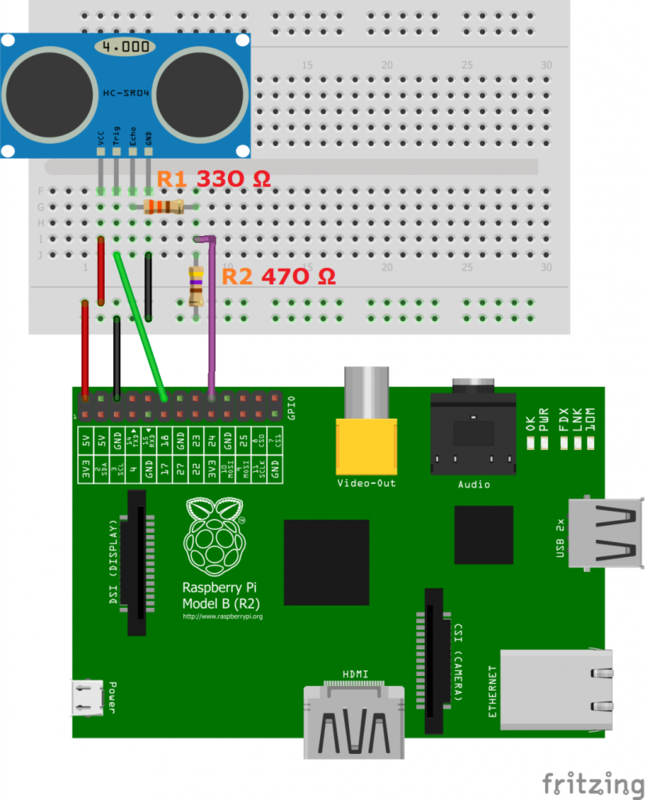 My understanding is that a higher resistor will merely pull the voltage even lower than the target 3.3V needed to make the echo response safe for the pi’s GPIO pins. Might be too late, but for future readers… it actually doesn’t make a difference. As long as the pi recognizes the signal as a high, it works. The only two possible outcomes are: 1. the pi doesn’t receive the high signal and your program either handles this, crashes, or runs forever because it’s waiting to receive a high or 2. the pi recognizes the signal as a high and therefore no error due to the pi/wiring/sensor. You could create a calibration curve for your sensor if you want the distances to be perfect. Also don’t forget that you’re doing the computation for the distance, so the speed of sound through air at the ambient temperature must be set properly for your ambient temperature. I used this code and wired the circuit correctly with the 330 and 470 Ohm resistors but am getting values of over 100,000 cm even though my sensor is only 1 meter from a wall. Any ideas? I’ve made this and it worked perfect. But i need to show it’s output in a webpage i configurated with lighttpd. it depends of the materal of the wall, if it’s made of glass, the distance gonna be different, just like as wool. 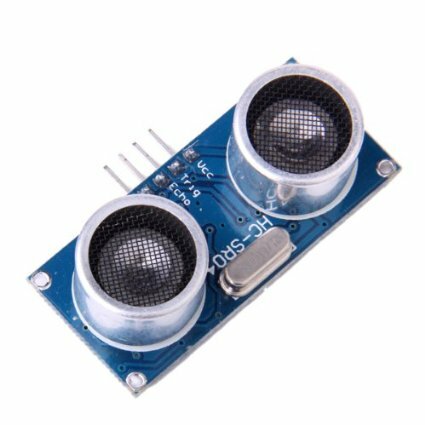 Hi, I need to connect 2 ultrasonic sensonrs and 1 gps, What pins should I use for the connection? Hello. I have a QUESTION. Do I first need to install Raspbian to create the python code in the raspberry Pi, or can I just create the Python file in my own computer and then move it to the Raspberry? Tried it and it worked at the first test. Almost creepy. But very cool! !